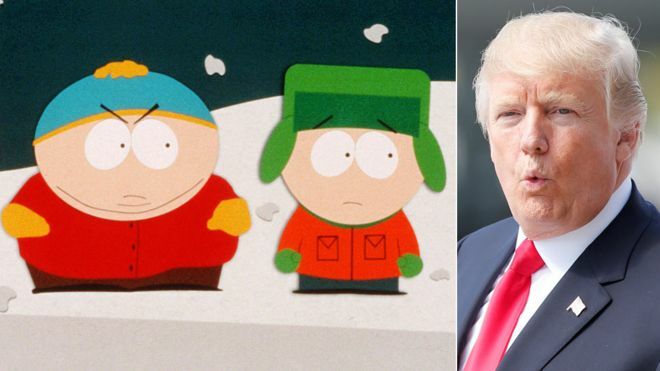 South Park is to make fewer jokes about Donald Trump, its co-creator has said. 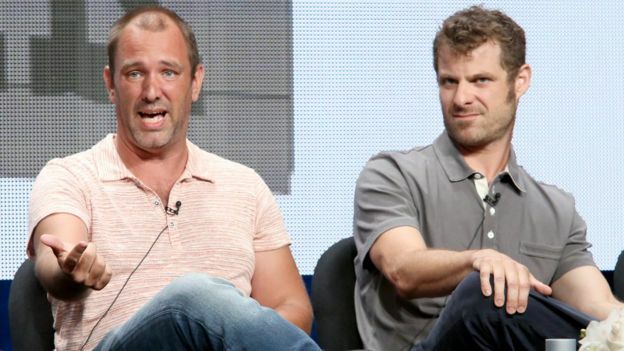 Trey Parker told The Los Angeles Times the show had fallen into the "trap" of mocking the US president in its episodes every week. "We're becoming: 'Tune in to see what we're going to say about Trump.' Matt [Stone, co-creator] and I hated it but we got stuck in it somehow," he said. Parker added he and Stone want the show, which has been running for 20 years, to return to its roots. He said the series should stick to the "bread and butter" of "kids being kids and being ridiculous and outrageous". Recently, the show has seen teacher Mr Garrison campaign for president on the basis he would build a wall to keep out Canadians - a reference to the wall President Trump wants to build on the Mexican border. Parker said: "We probably could put up billboards - 'Look what we're going to do to Trump next week!' - and get crazy ratings. But I just don't care." "We fell into the same trap that Saturday Night Live fell into, where it was like, 'Dude, we're just becoming CNN now'." CNN has been critical of Mr Trump since he was elected in November 2016. Parker also said the US president is using the tools of a comedian to drive his support. "The things that we do - being outrageous and taking things to the extreme to get a reaction out of people - he's using those tools. At his rallies he gets people laughing and whooping," Parker said. "I don't think he's good at it. But it obviously sells - it made him president." Donald Trump Jr responded to the interview on Instagram, writing: "Hahahahaha... South Park will lay off the Trump jokes to avoid becoming CNN... Amazing. This made my day."